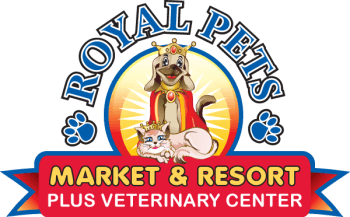 Royal Pets Market & Resort is your one stop shop for all of your pet needs. We offer all the pet products you and your pet love, as well as grooming, boarding, and vet services! At Royal Pets Market & Resort, a pet parent can shop while their pet plays in our indoor or outdoor dog park, pets can stay in comfort at our 5-Star pet hotel, be seen by a veterinarian in our full-service vet center, or get pampered at the pet salon, all under one roof. You can find all this and more in one of our four pet market locations! Our goal is to have a positive impact on the lives of pets and pet owners alike by providing loving care along with outstanding and trustworthy service. Our standards of excellence will be instilled across all levels of service, with our professional and knowledgeable staff that is attentive to the needs of all dogs, cats, and their owners.